Guest blogging is without a doubt one of the most effective ways to attract traffic to a website. But the process of finding guest blogging opportunities, pitching, and getting accepted can be tiresome, and complicated. That’s why I have created this 12k-words article in which I will show you how you can grow your own site with guest blogging. I have left no stone unturned. This is by far the most complete guide on guest blogging ever. Put on your seat belts, because it’s going to be a long ride. Free Checklist: Click here to Download the exact steps you need to take to guest post in top sites. I can imagine you right now: you are excited, ready to start writing amazing content and get them published in big publications. It’s great you have this optimistic attitude, but before you write a single word, you need to know where you will be publishing and whether they want you to write for them. There’s nothing worse than spending hours writing an amazing piece of content and see it get rejected by everyone. You come up with the perfect idea, something you want to write about. You give out all your best tips, create simple but useful graphics with Canva, and use interesting quotes and research to back your ideas up. Nothing can go wrong, right? Well, it can. You can get your pitch rejected. And that amazing article you wrote? It will be worth nothing. This represents a big waste of your time and effort. I know someone who went through that painful process. It wasn’t me, of course. It’s…a friend. He’s called, um, Ian Kelner. Ian learned the hard way creating content first isn’t the way to get started with guest blogging. You first need to find a site that accepts guest posts, something that’s less common than it was a few years ago. Then, the site needs to be relevant to your interests and expertise. Finally, this site needs to have some kind of authority (both SEO and brand wise) and traffic. Before you even make the first Google search, you need to set up an organized sheet that will help you organize all the places you find with their respective relevancy and authority. You have several options to choose from: you can use Evernote, Google Sheets, Microsoft Excel (a new app created by some whiz kids from a small company called Microsoft), or the good-ole’ pen and paper (no, that’s not the name of a new app, although that gives me an idea…). In my case, I will use Microsoft Excel. In your selected app, create 5 to 10 columns. In each column, you will add every attribute that will help you see whether it makes sense to even come up with ideas and pitch them or not. This list of attributes can change a lot depending on what you want to focus on and how sophisticated you want it to be. The main idea is to create a simple CRM where you will track the different sites you have found and how you are doing with your outreach. There are two ways you can find your guest blogging targets. The first one consists in finding places that accept guest posts and see if they are high-quality sites and relevant for you. Many sites mention publicly they accept guest posts and even look forward to getting pitched. This makes this process much easier for you. The problem this raises is many of these sites aren’t high-quality or relevant. In other cases, despite publicly saying they accept guest posts, these sites don’t consider the majority of them. For example, despite Hubspot say they accept guest posts, they generally don’t consider any pitch, unless you are an expert or have some connection with one of their content’s team (that’s my experience, at least). If you see incredible sites in those lists, like Business Insider or Inc, don’t get so excited. As I said before, many of these sites say they accept contributions or guest posts, but generally, don’t. I will later show you some ways to connect with editors to help you increase your chances of getting your articles accepted. Nevertheless, many of the sites featured in those articles do accept guest posts, so if they are relevant to you, add them to your list. If you haven’t found many relevant sites on those lists and want to look for more, you can use search footprints. These footprints will help you find sites that either publicly accept guest posts or sites that accept guest posts despite not saying so. Believe me, there are more sites in the latter group that in the former. Some of these footprints can be used as they are, while others should be used with the “site:” modifier. This would allow you to search within a site whether they accept guest posts or not. This will come handy if you use the next option. For each site you find, whether you found them through a list or through footprints, add them into your sheet and fill all the details. You will use this list in the next part of this guide. Based on this example, you could come to the conclusion that any site could accept your guest post. Please, don’t do this. There are many sites that don’t accept any kind of guest post, others that used to accept but now they don’t, and others that accept but only under special circumstances. Like in the previous example, many sites only accept guest posts based on relationships, or when the writer is an expert on a topic, or an executive at a company. You could try to get accepted, but unless you belong to one of these special categories, your time will be best used on sites that accept guest posts. In order to see whether a site you like accepts guest posts or not, your first task is to search on the site to see if they openly say so. Say we wanted to guest post on LeadPages. In that case, we would need to go to their blog and start looking for any kind of hint that mentioned contributions, guest posting or article submissions. In many cases, you will see a “Write for Us” button somewhere on the site, but in this case, I couldn’t do it. That means, we’ll have to use a less manual way to find if a site like LeadPages accepts guest posts. The manual tactic is a good start. In many cases, however, you will be dealing with a huge site that has many categories and writers. In that case, you are best using the previously mentioned footprints with the “site:example.com” appended next to it. As you can see, two articles show that some people had guest posted on their blog. That was a sign that I could pitch them with my ideas, which they eventually accepted. On the other hand, if I would like to get published on Quicksprout, one of the blogs of Neil Patel, doing a few footprint searches would lead me to find no hints of guest posts on his blog. I could still try and ask him, but the chances of getting published, or even get a response, are lower. Therefore, I shouldn’t waste time on this when I could publish on another great blog like KISSmetrics. As a final note, if you find a site which has a guest post tag or category, that’s a good sign. You need to check for publication date, however. If you find a guest post category in which all the guest posts are 4 or 5 years old, it probably means they don’t accept guest posts anymore. In that case, you could move on or implement the following tactic. Finally, you can ask the blog or content marketing manager (in some cases called editors) whether they accept guest posts or not. The question then becomes, who is the manager? And how do you find him (or her)? That’s something I will show you in the next step. Before moving on, I just want to talk about the question. When contacting the manager, you could just ask to see if they accept guest posts, or you could try to pitch them right in that first email. The former is the most polite and simple, whereas the latter can help you save time. The problem with the latter, however, lies in the fact you need to analyze their site and blog to see what you could write about. This can be a big waste of your time if the site ends up not accepting (or even answering) your pitch. My friend Ian went through this process when he got started and decided he shouldn’t pitch a site when it didn’t specify if they accepted guest articles or not (yes, he was a bit dumb at first). Later in this guide, I will show you how to come up with great ideas and how to pitch editors. Right now, we need to see how to find them. The blog manager, sometimes called editor or content marketing manager, is the individual in charge of the content calendar, content strategy, and editing. In some cases, that same person also writes content. Given almost always there’s someone whose main job is to manage the content, finding this person isn’t a hard task. Start by searching on the blog you are trying to guest post on. The first thing you need to look for is the person who publishes more often. In some cases, the names of the people who write an article will show up on the blog page, simplifying this process. In some other cases, you will have to open 5 to 10 articles and see who publishes it. In most cases, the person that shows up the most often as the writer is the responsible of the blog. If there doesn’t seem to be anyone who publishes more often, check the “About Us”, “Team”, or “Contact Us” page. You may be able to find the blog manager there. If you can’t find anyone with either these two ways, go to the contact page and send them an email. You can use the template shown in the “How to Break Into the Biggest Publications” section down below. Once you find the blog manager, you need to get their email information. In some cases, you will find the contact information right on the profile page, the contact page, or the team page. If you do, add this information to your sheet. If you can’t find their email anywhere on the site, you need to do a bit of further research. I have discovered two tools that can help you find any blog manager’s email. Let’s say you wanted to publish on CrazyEgg. The blog’s manager is Sean Work. To find his email information, this is what you would do. First, you would go to Hunter.io and add the site to the search bar. Then, you would look for the manager’s email in the results. In the example below, we can’t find his email address. Fortunately, Hunter tells you the most common email pattern so you can guess the manager’s email. In some cases, if you find many email results, you may be able to corroborate the pattern. In some other cases, you will find many patterns, which may make this email guessing prone to problems. Either way, what you would need to do next is add the manager’s full name in the search bar below the main one, and see what Hunter.io can guess. Then, once you click the “Check” button, you will be told whether the email exists or not. In this example, the email suspected by Hunter actually exists. Take this email and add it to your sheet. I know it looks weird that the final step of this part is about not doing something. I’m doing this to make a point: don’t pitch anyone until you know exactly what you are going to write about. You need to come up with a great idea (or ideas) that’s relevant to their audience and to your company (or blog). That’s what I will show you in the next section of the article. The only case in which you should contact the manager is, as I explained before, when you don’t know if that company or blog accepts guest posts. That’s not pitching, by the way. But it’s a contact you need to do in order to save a lot of time and effort. Don’t want to read this beast right now? Don’t worry, download the article in PDF. Nailing a great guest posting idea is 50% of the job. That will make the work of getting published easier, as the manager will see you did your homework. If the pitch isn’t perfect (something I will show you later), that is, if the guest posting idea is off, they won’t accept it. Coming up with irresistible guest posting ideas is a multi-step process, which I believe consists more on eliminating bad ideas, than coming up with great ones. I know this is a bit contradictory, but the truth is brainstorming ideas isn’t hard at all. What’s hard is for them to be relevant. Next, I will show you some criteria that will help you come up with these great guest posting ideas. Before we get started, I want you to remember an idea is nothing but what its name suggest, an idea. Its execution is what matters the most. I will show you how to create a great piece of content later. Now, let’s focus on nailing the content idea to get your pitch accepted. One of the most basic concepts of any marketing campaign (including a content marketing like this one) is defining and analyzing its target audience. After all, marketing is about communicating an idea or message to an audience. The more relevant is the message to that audience, the more effective the marketing will be. This same idea applies here. You need to understand who you are writing for and what needs, pains, problems, fears, anxieties, and desires they have. This is easier said than done, as it takes some elbow grease to get all this information. If you are used to writing about the same topics over and over (like I do with online marketing), you probably have an idea of who reads what blog and what pains and needs they have. You only need to change your target audience a bit for each different blog you publish on. But if you often change of subject, or in case you want to have a clearer idea of who your target audience is, you need to research. This research consists of answering some questions that will lead to a better understanding of your audience. As an example, I will assume you would like to guest post on my blog. First, where does the target audience hang out? Are there any online or offline communities where the people to whom you will be writing get together? If so, make a list of these communities. In my case, it would be Inbound.org and GrowthHackers. I could also add the Inbound conference, Moz conference, Traffic and Conversion conference, and any other that could be relevant for this audience. Despite these conferences may not tell you anything upfront, at least if you haven’t participated in them, they can help you later on. What blogs and magazines do they read? If you can read the blogs, magazines, and books they read, you will be able to get inside their heads and see what problems they have and the solutions they seek. Also, you will be able to see the kind of writing they are used to reading, whether it’s formal or informal, technical or motivational, what style, length, and vocabulary they like. All this will affect your writing, and therefore, your success. Add these sites to your list under a new tab. In my case, my audience reads blogs like KISSmetrics, QuickSprout, Buffer, Copyblogger, and CoSchedule, among others. Some of the magazines they read are Inc, Fortune, Entrepreneur, and Forbes. If you would like to guest post on my blog, you’d have to take a look at all these blogs and magazines and see what they write about and what their style is. Who are the biggest experts in the subject topic? This is a small bonus, but it can help you when creating content. For example, you could quote them, link to their articles, see what concepts they have developed, what they talk about (which is likely to be the biggest issues of the industry), and what kind of professional services they provide. If possible, you should create a list of all these experts under a new tab in your Excel sheet. Put their blogs, both personal and professional, and their Twitter and Linkedin accounts. If possible, follow them on the former. What questions do they have? What main solutions do they seek? Coming up with the answers to these two questions is challenging, but doable if you are willing to do some extra research. Quora, Reddit, and online communities, like in my example Inbound.org and GrowthHackers, can give you a great idea of the kind of questions they have. However, the people that ask the most questions are beginners, so if you are targeting people with experience or even experts, you are best deducting these questions by reading the content the experts create. Also, doing keyword research can help you deduct these kinds of questions and solutions. For example, if you search for content marketing in the Google Keyword Planner or Ahrefs’ Keyword Explorer, you will get a lot of suggestions. These keywords won’t tell you anything per se, but they will show you what people search for. As a consequence, you can start inducing what people are trying to find when doing these searches. Finally, what solutions or tools do they use? We can talk about your target audience’s problems for hours, but at the end of the day, what they do to solve them is what matters. After all, experts aren’t experts just because they know a lot about a topic, but also because they can come up with incredible solutions to an audience’s needs and problems. The tools and software your target audience use doesn’t tell you a lot about them. But if you analyze what they use them for, and what specific features these tools provide, you can get a better idea of the kind of priorities your target audience have. CoSchedule to manage their content calendar. If you have answered all these questions, you likely have a great idea of your target audience. This will help you come up with all sorts of content ideas that will be relevant for the guest blog. If you are already coming up with lots of ideas, then skip to the next section of the article “How to Break Into the Biggest Publications”. Otherwise, keep reading to see how you come up with the best ideas. What do I mean by strengths? I mean the ability to deliver content that suits your own skills, preferences, and knowledge, while providing massive value to your audience. In order to know whether you can deliver amazing content to your guest’s audience or not, you need to see what kind of content this audience likes, and honestly assess if you can deliver on that quality. This takes some experience, self-examination, and honesty. For example, when I wrote an article for CrazyEgg, I knew about the topic at hand. I also understood what their audience liked and wanted to read. On the other hand, I know well what kind of content I’m able to deliver: long, actionable, detailed and research-backed content. If I had to write technical content, motivational content, or content about a topic I know nothing about, I wouldn’t be able to do so with the level of quality I’m used to. That explains why I only write about online marketing and their related subjects, like SEO, growth hacking, entrepreneurship, and small businesses. Would you like content like this on your blog? If you don’t have the time to create this kind of content but would like to have it on your blog, then I can help you. Before you get started, think this through and decide whether the site you are trying to guest post on fits your own strengths. Your guest, their audience, and you will thank for having done so. This process shouldn’t take you more than 30 minutes, but it will save you and your guest a lot of pain. If I wanted to write for Entrepreneur, I can see after reading some of their articles that they write about entrepreneurship (a big duh, I know), marketing for small businesses, and productivity for CEOs and managers. Their style is actionable but basic, their articles don’t get into the nitty-gritty of the actions they recommend, nor they use a lot of images. Their tone is quite informal, but not something to abuse. With this research, I can then assess how I can pitch the editor and what type of content I would need to deliver to their audience. The majority of blogs have guidelines that explain what they expect you to write and pitch about. In some cases, these guidelines show up on the site, for which you should have already added them to your sheet. If you haven’t searched for guidelines yet, do it now. You will save yourself from a lot of frustration. If the site doesn’t have any public guidelines, then no worries. You can ask for them when you pitch them (something I will show you later how to do). For example, Hubspot explains in their guest blogging guidelines what the bare essentials they are looking for, what post types they accept, what they won’t accept, and finally, how you need to submit your post. All these guidelines will help you increase your pitch acceptance rate. If you ever want to publish on Hubspot, you now know what you need to do. This is how the guest posting guidelines page for Hubspot looks like. Competitor analysis is always a safe tactic to understand how an industry works, what you are competing against, and how you can out game them. This applies both when you write for your own blog or when you do it for someone else. Always remember every site has a competitor. Take the time to see who they are and what they do. In most cases, you will know what these competitors are. For example, if you are going to write for a site like Campaign Monitor, you can imagine MailChimp and GetResponse are their main competitors. In some other cases, it’s less obvious. In my case, my competitors could be blogs from other freelance writers, or it could be more indirect, like Copyblogger or Copyhackers. There’s nothing better for analyzing your competition than using competitive intelligence tools. Despite the fact it’s hard to analyze the quality of a piece of content (after all, quality is a subjective matter), we can assume the number of shares one gets is correlated with its quality. As Jonah Berger discovered in his book Contagious, people share something that makes them look good as a way of “social currency”. But how do you get the number of shares a piece of content gets? With the help of Buzzsumo, you can see how many shares any site or piece of content gets segmented by the biggest social media accounts: Facebook, Linkedin, Twitter, Pinterest, and Google Plus (does anyone still use it?). Let’s say you wanted to see how many shares a piece of content written by Tim Ferriss gets. Let’s take the Tony Robbins: How to Suffer Less (and Invest Intelligently) article. You would copy the URL, paste it into Buzzsumo, and click search. As you can see, this article got 216 social shares, which isn’t a lot for Tim Ferriss, but it’s acceptable given he has recently migrated his domain, which means most of the previous shares can’t be analyzed by Buzzsumo. Instead of having to add each individual post to Buzzsumo, you can add a whole site in it and see what articles got the most shares. This is the most useful for our intention. The first article got 5.1k shares, mostly from Twitter and Linkedin and Facebook. As you can see from the first three results from last year, their most shared articles are data-driven. That’s a good sign of a topic you should consider writing about if you wanted to publish in their blog. In order to take the biggest advantage of Buzzsumo, you should analyze the top 5 to 10 most shared articles and see if you can find any kind of pattern that makes people share them so much. You should do this both for your guest blog and their competitors. This will give you a better idea of what the audience you are trying to target likes. Were the main ideas backed by research? Were there any relevant images (like screenshots)? Were there any relevant graphics? Did it have any quotes by experts? Did it offer anything at the end (like a template)? Your goal is to find what is that special attribute that made it got so many shares. You should be able to find something that will help you understand what people like in your industry. From that, you can come up with a lot of great ideas that will make your own content get lots of shares. At the least, you will create a relevant piece of content the readers will like and your guest will appreciate. All in all, if it worked before, it may work now. Just as social media shares is one way to find a correlation between quality and content, the number of inbound links a piece of content gets is another measurement. Inbound links are even more powerful than social media shares, as the former imply a higher level of commitment than the latter. By commitment, I mean the effort needed to link to a piece of content is higher, as it takes a bit more time to do so (let’s be honest, linking takes not more than 20 seconds, but in the Internet age that’s a lot of time). Not only that, but the effect can be higher as well; inbound links are still one of the most important factors in Google’s ranking algorithm. That means an inbound link can generate a long-term cost-effective volume of organic traffic to a particular page. From all these tools, my favorite is Ahrefs (I used to use Open Site Explorer, but it hasn’t been able to cope up with the pace and quality of Ahrefs). Its Site Explorer feature is second to none in the industry. In order to see how Ahrefs works, let’s take the KISSmetrics article from the previous analysis done by Buzzsumo. We will put it into the search bar, and click search. This will give us an overall analysis of the page, including Alexa ranking, backlinks, number of referring domains, keywords that it ranks for, and a few more things. This data shows us this article is popular; it got 377 backlinks from 32 domains and the article’s authority is acceptable. This means the community found this article to be high-quality; otherwise, they wouldn’t have linked to it so much. Before we go any further, let’s recap. So far, you should know where you want to guest post on and what idea you will pitch, and hopefully, develop. With all this information, you should have a much better idea of what you should write about. None of this analysis will tell you to write about a specific topic, that’s yours to decide. This will, however, give you a clearer idea of how you can come up with better, more validated ideas that are prone to work. It’s up to you to decide its angle, headline, attributes (i.e. use of images, research, etc.) and overall quality. Before you get started pitching, something I will show you in the next section, you need to decide between 1 to 3 ideas per publication. Take the time to carry out this analysis, give it a few minutes, if not hours, to decide on your topics, and write them down somewhere you can easily access to, like a note app, Evernote, or a simple notepad. It’s time to get our hands dirty with the most important process of this whole guide: pitching. When it comes to guest posting, you can have the best idea, one that has been proven to work, but if your pitch is bad, it won’t get noticed. You need to be able to communicate in an effective manner with the blog you are trying to publish on to get noticed and accepted. Getting your pitch across can be hard depending on how you do it, what you are pitching, and who you are pitching to. The last two parts, the what and who, have been done already. If you followed the advice that I gave you before, you should already know the manager of the guest blog you are trying to pitch and you should have at least 1 relevant idea to pitch. Therefore, I will focus on the process of pitching itself, so your chances of getting it read increase. The first thing you get right is your subject line. If you want your pitch to be seen, clicked and read, start by making it impossible for the manager not to open your email. Put yourself in her shoes: if she manages a famous blog (at least, for its industry), she probably gets dozens of pitches per week, or even per day. Imagine getting the same kind of lame and boring pitch over and over again. She doesn’t get paid to read pitches, she gets paid to publish good articles and stories. Make her job easier by using a simple concise subject line that gives her enough information to whether she should open the email or not, and what she can expect from it. This isn’t as hard as you may think. Subject lines are made up only by a few dozen characters, depending on which email service provider and device the manager uses. It’s almost impossible for you to overcomplicate the subject line, unless you write a long one that gets cut, and therefore, unread. The key about subject lines is this: you only want the blog manager to open the email and read it. Because of that, you need to put yourself in their shoes and think what will make her do that. It’s not that complicated. If you have ever received unsolicited emails asking for something, you probably know what it feels. It’s better if you don’t lie to them or tell them something irrelevant. Once the manager has opened the email, the subject line has to match the intent and structure of the email itself. These attributes can be abstract to understand in a void. Instead of explaining how to add these attributes inside a subject line, let me show you the three main ways to create them. Inside each way, you will see these three attributes hold true. Whatever tactic you use, remember this: try to experiment a bit on which works best for you and which fits best with your personality and email style. You can go the easy way and tell the manager what you want. It’s simple, short, and concise. If she doesn’t accept guest posts, she most likely ignores you (something we will touch later on). If she does, she’ll likely open the email and read the rest. These examples are good because they focus on the problem of the email itself. They create an expectation, which the manager only needs to close either by ignoring or rejecting it (hopefully the latter), or by accepting it. These examples aren’t creative, but in many cases they get the job done. None of these bad examples are relevant or clear. Sure, they may work, but they seem lazy and confusing. The first two can be about anything, which creates anxiety in the manager. The last one is completely irrelevant; who cares you have a great idea? The manager wants to get an article published, not an idea. It’s better to show your idea in the email itself than to tell them that. You can use the title of the draft to catch the manager’s attention. This means that if you had written this article, the subject line of the email you sent me would have been “Guest Blogging: The Most Complete Guide Ever Written”. This would create a small curiosity gap, as the subject line implies the email could be about an article recommendation, a pitch, or something else. It’s not the most relevant way to pitch, but it’s simple and clear, and it has worked in my experience. This is the title of the email I sent the people of Wordstream when I pitched them about my article. You can mix the previous two methods to create a “curiosity gap” inside the manager’s mind and make them open your email. Before you even go to Google and search for “curiosity gap”, let me explain you. A curiosity gap (aka. “knowledge gap”) is when you provide just enough information to make the reader curious, but not enough to satisfy their curiosity without clicking through the email. 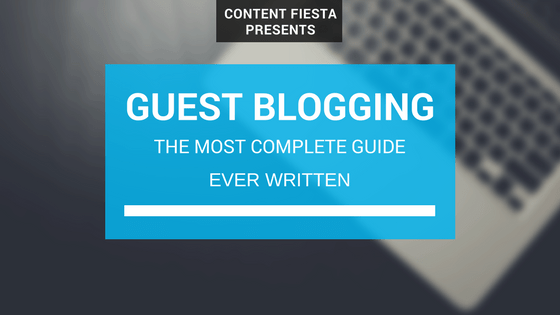 Do you want to see a complete guide on guest blogging? A complete guide on guest blogging? Not all of these subject lines are great, but they are quite simple. They aren’t clear, but that’s done on purpose, as this unclarity creates the gap you want them to close by looking at the email. The only problem with this is this gap can create false expectations and, therefore, make your email irrelevant. I haven’t used this technique often enough because of that problem, so make sure to use it with care. When you pitch an article, you are pitching to another human being (mind-blowing, I know). That means your email should look, sound and seem human; almost as if you are talking to them face to face. Unless you want to write for a Fortune 500 enterprise company that’s managed by an old man in a suit who still remembers how awesome Microsoft 95 was (every Fortune 500 company has a few of those), you want to write in a colloquial informal manner. It’s not that informality is correlated with a higher success rate. Rather, it’s the human touch that makes the pitch more palatable and relatable to the person who has to read the email. How your email should be personalized is a matter of discussion. Most experts, like Paddy Moogan and Brian Dean, agree emails should be personalized in a scale of importance. Emails that are sent to small publications (my blog would be an example if I accepted guest posts) shouldn’t be personalized too much. After all, the impact in SEO and traffic from a small publication is small, which means the ROI of your effort in trying to personalize it will be low. On the other hand, if you are going to pitch a big publication, like Entrepreneur, you should make the email as unique as possible. Any publication in between, neither too small nor big, should be personalized as much as possible without having to spend much time doing so. If this sounds complicated, bear with me. Use their name. This goes without saying, but if you can’t find the name of the person who’s being pitched, you shouldn’t send an email. The only exception is when you can’t find the blog’s manager and you have to send an email to a general contact email. Otherwise, always add the name. Dale Carnegie once said that “a person’s name is to that person the sweetest and most important sound”. Talk about them. This is mostly abused in creepy and unnatural ways, but if you can talk about the email receiver, like praising them for something they have done, mentioning you share a common passion or friend, or asking them a question, you may be able to open that person up. As long as you do it in an honest way, this will work. Dale Carnegie said this too. Mention their company. This is a mix of the previous two tips, but if you can mention their company, it shows you have done your job. Remember, be human. I can’t tell you how to do that, can’t I? But if you use your common sense and follow some of the advice mentioned before, you may increase your chances of getting your message through. In most cases, your pitch will be “cold”, that is, it won’t come out of a personal relationship or contextual situation. The manager neither knows you nor knows why he should care about your pitch; he isn’t expecting it either. That means you should always try to add a personal relationship into the pitch or some kind of context on why your pitch matters. Regarding the last point, if you want to write about traveling, mentioning the fact you’ve visited over 50 countries in the past 2 years (I envy you if you have) will give you all the proof you need. Another option would be if you have been published in important travel blogs and magazines. On the other hand, a B.S. in journalism won’t matter that much. The answers to these questions come after you have done your previous research. If you have done it already, then use it. For example, mention the problems their audience have; that will help them see you understand them and you can help them. Before sending any pitch, remember to be concise. Conciseness will help you get your pitch across without annoying the person you are pitching. There’s nothing worse to get a long pitch which doesn’t seem to ever end, especially if it’s badly written. If you start your pitch talking about yourself and forgetting about the blog manager and his audience, nothing you write afterward will matter. It won’t get read. It’s hard to be concise when you have so many rules to follow; it’s common to follow all of them and end up with a 500-block-of-words monstrosity. Who wants to read a cold pitch like that? Don’t make that mistake. Understand the rules and break them at your peril. For example, you should mention some kind context, but if you don’t, you may get your pitch accepted as well; you never know. Always test different ideas: in one, focus on the context and not so much on the content idea itself, in another, invert the relationship. It’s similar to when you cook a meal: in some cases, you want to put more salt whereas in others you want to add more spices and see how the taste changes. One safe way to respect all the rules mentioned before and still being concise is to make sure each “rule” doesn’t take more than one sentence and, if possible, line. For example, if you want to mention where you have written before, mention two or three sites with a link in each one that leads to the article and move on. If the site you have been published is well-known, they won’t need you to tell them why Inc is awesome; they already know it. As a final tip, always follow up. That’s an old rule of sales, and it holds true when pitching as well. If you recall, I made you add a column on your Excel sheet where you will track what sites you have pitched to, their response, whether you have written the article, and whether it was published or not. This will help you structure and follow the developing stage of each article. If you see you have emailed a site but you got no response, you know you have to follow up. As a rule of thumb, I always send no more than 3 emails. In my experience, the first one is the most important, as you can imagine, and the second one is where I “rescue” the most people. I’ve not heard back from most people once I send the third email. I always time each email on a weekly basis. That is, I follow up after one week of sending the original pitch. The same applies to the third email. I’ve given you many rules and ideas to follow. Now I want to share with you a simple template you can use to get started. But know this: it’s nothing but a structure, a blueprint, if you will. Don’t copy and paste it. If possible, write the pitch as you read the template, and adapt it to your own style and blog you are pitching to. As I said before, important publications need better and more personalized pitches than smaller ones. Eventually, you will develop your own style, as it happened to me. Subject line: Do you accept guest posts? I was reading your article on [TOPIC THEY WROTE] and [GIVE COMPLIMENT]. Have you ever considered publishing about [OTHER RELATED TOPIC]? Anyway, I was wondering, do you accept guest posts on your blog? I have some ideas on X and Y, and I think your audience will probably find it useful. I have also written in SITE1 and SITE2, so let me know if you are interested in hearing more. Either way, thanks for the great content! As you can see, this email focuses mostly on knowing whether the site accepts a guest post or not. It barely focuses on you. Why should you waste your time on that when you don’t even know whether they care or not? You can swap the “I have written in” for “I have worked as [an expert in your industry] for X years”. This is the least aggressive and simplest of all the templates. Now it’s time to get started on your content. I have written more than 6000 words before getting to this part because I wanted to make sure you didn’t spend any time writing your article if you aren’t going to get it published. This happened many times to my friend Ian (poor thing, he was so naïve and dumb): he’d get excited, pitch a site, start writing, and after not hearing back, he’d have to pitch another site and adapt the article to the new site. After a few attempts, the final article wouldn’t look nearly as good as it looked before; it was a Frankenstein-like article. Now that you know your article will be published, it’s time to get started. Now, before we get started, I need to share an important caveat: developing amazing content isn’t the goal of this article. That’s a separate topic which deserves an article on its own (that gives me an idea, though). Therefore, I won’t spend much time explaining how to do this. If you did everything I have taught you so far, your pitch will be accepted and you will likely get the article published. The following tips will help you how to make sure your content blows your guest blog’s manager mind (and their audience as well). One of the best and simplest ways to get your article accepted is to read and follow the guidelines of the publication you are trying to get publish on. I can’t stress this enough: your content needs to follow the rules in order to get accepted. Most large publications have a set of guidelines that explain and standardize how to create content to get published. Many sites have these guidelines hidden, for some reason, and will be given to you once you get your pitch accepted. In many other cases, you will have to ask for it; I have had many situations in which I didn’t get my article accepted at first attempt because I had to make “some changes” to adapt to the blog’s guidelines. In many others, however, the guidelines are downloadable or public for anyone to see. For example, Entrepreneur explains how to pitch them and what kind of content they like to get pitched. Despite the chances of getting published like this on Entrepreneur are slim to none, it still gives you a good idea of what a big publication looks for and wants to see. Way back when I showed you how to come up with great ideas, I told you that in order to find relevant topics to write about you needed to understand your target audience. The best way to do so is by researching these people and looking for common problems and needs you could solve. If you did this research, then now is the time to use it. Before you focused on the idea, now you need to execute on it. If you place all your research in a notepad or sheet, it’s time to take it out and see what findings you can use to make the article better. For example, if you found the blog’s style is casual yet authoritative, you may need to use data to back your ideas. If, on the other hand, the blog doesn’t use many original images, creating some manually with a tool like Canva or Photoshop will help you stand out and provide amazing value to the publication. Implement the same kind of thinking for every kind of insight you have found. If possible, go beyond each insight. As I showed you before, if you know most articles are one way, doing something different that adds extra value will help you stand out and make a great impact on the guest blog. This is a bit lazy from my end, but as I said before, the point of this article isn’t to show you how to create content, rather it’s to get them accepted on other blogs. When it comes to creating content, just create it. Make sure the article is over 1500 words, unless the site says otherwise (that’s the case of sites like Entrepreneur, which like shorter articles), and give as much value as you can. Longer articles rank better. Also, they provide more value. Ambiguous and cliché as these tips may sound, they sum up the main ideas behind any successful article, whether it’s a guest post or not. If you use these tips, follow the advice in this article, and respect the guidelines, you will likely to do fine. In most cases, once you get your pitch accepted, your article will get accepted and published. That’s my experience, at least. Maybe I’m so good that I’m the exception and not the rule (that’s what I tell my mom so she can be proud of me). But I imagine I’m not. I imagine if you have some kind of writing ability and respect for the guest blog, your article will get accepted. In some cases, however, your article may get rejected. These problems are easy to solve. Following the guidelines and using bad language are common sense to you now. You can solve the lack of research and mention a competitor by doing some Google searches and changing the phrases that mention the competitor. But ignoring the target audience and bad grammar can be fatal, especially the latter. Always make sure to know exactly who you are writing to. This is something that is done throughout the article, so if you have ignored or missed the persona, you may have to rewrite the whole article. Not a big deal if you still can get it accepted. Bad grammar is a harder problem to solve, however. There’s nothing that turns off a blog manager than a poorly written article that shows a shallow understanding of the English language. Also, it shows you don’t know what you are doing (i.e. writing). If you want to write, you are supposed to know how to do it. This is a problem that can be solved by following Stephen King’s advice: “If you don’t have time to read, you don’t have the time (or the tools) to write. Simple as that“. Also, Grammarly is a tool that can help you find smaller problems in your writing. Most browsers tell you when you misspell a word, but none tell you when you mix a preposition (I hate them, they are so confusing!). Grammarly shows you all these small problems, which can save your life (figuratively, of course) and make your writing look more professional. If you get your article rejected, ask for a chance for rewriting it or fixing the problems. In most cases, the manager will accept it. In fact, you should be asking for one. When you send the article (see next), tell them you can make changes to the article wherever the manager seems fit. Then make those changes and send it back. You should get it accepted by then. If you don’t get it accepted, or the manager doesn’t give you a second chance, move on. It’s better to take it somewhere else and adapt it than get into a fight. There are many assholes out there (yes, I used a foul word, so what? ); the key, as Marcus Aurelius liked to say, is to remember “they are like this because they can’t tell good from evil.” That will help you to live in peace. I have had articles sent and accepted, and three months after, I heard back from some manager saying my article violated some random guidelines (which was never explained before), and therefore, it wouldn’t get accepted. I wasn’t given a second chance, their call was final. Or, at least, it appeared so. That kind of treatment is disrespectful and annoying, but I had to accept the fact there are people who aren’t professional. God bless you, Marcus Aurelius. There are many reasons why I prefer the first one. To start, the editor can suggest edits in specific parts of the articles, if you give the right permissions (something that’s easy to do). This can make the whole process clearer for both ends. Also, it’s easier to click on a link than to download a document or paste an HTML version into WordPress. Finally, it’s my preferred way to write. I tend to be a perfectionist, so when the autocorrect tool starts telling me I write words incorrectly (something that happens more often than not), I tend to lose the thread of thought. It also makes me nervous. By disconnecting the Wi-Fi and using Google Docs, none of this happens, which allows for a faster flawless writing process. Whatever format you choose, use the one you like the most and that’s allowed by the guidelines and celebrate. You got your article accepted, written, and sent. Now it’s time to wait for it to get accepted and published. After you send your articles to the blog manager, she will likely tell you what she thinks of your article within a few days. If she’s professional, she’ll tell you right away what she likes and doesn’t like. If she found problems, you will have to fix them. You already know this. But if she hasn’t, she’ll tell you it’s great and that it will be published. You should always ask when that will happen, so you can follow up if it doesn’t get published by then. Mission accomplished. Blog managers can be busy people, however. (Well, everyone is “busy” these days; blog managers aren’t the exception. I don’t know why they are so busy, but that’s the reality.) That means many times they won’t come back at you. On the contrary, many times you will have to wait one or two weeks before you get an answer. That’s why you need to follow up. Just like I told you before when you pitched, you need to follow up with every blog manager to know whether there are any changes to make to your article or not. Even if you got the article read and accepted, you still want to know it was greenlighted. I just wanted to touch base on my last email. Did you have the time to read the article I sent you? Let me know if there are any changes you want me to make it. I’d like to follow up on my last email. Did you have the time to read the article I sent you? After that email, if you don’t get any response, you are allowed to send death letters and make death threat phone calls. Just kidding (or am I?). In the majority of cases, if you are dealing with a professional editor, you will get an answer. If it was accepted, kudos! You are done for the day. Go celebrate. Open the champagne bottle. Punch a dolphin in the face. There’s a slim percentage of not getting a response, nonetheless. In those cases, you need to do what I told you before when you didn’t get a second chance to edit your article: move on. There are a number of unprofessional people out there that will make your life sadder than it should be. It’s not your fault those people are mean. You did everything you had to do, you were simply unlucky. If you don’t hear back, take it somewhere else. If it’s any good, it will get accepted. If you know me and have followed my writing for some time, you probably know I love using content upgrades. Content upgrades are offers that you give to your readers in your articles which contain extra value directly related to the article itself. What makes content upgrades so great is they can help you get email subscribers through your guest posts. In my experience, I’ve gotten a few dozen email subscribers from each content upgrade I’ve added to all my guest posts. Pretty sweet for a 20-minutes work, huh? If you are afraid they will get you into trouble and your article will be rejected, you’d be wrong. Worst case scenario, the blog manager will tell you they don’t allow them. Then she will proceed to remove it from the article, and then she will publish the article anyway. As the old saying goes, it’s best to ask for forgiveness than to ask for permission. The only case where I’d not add one is if the article isn’t actionable or long enough, or if the site is too formal. Otherwise, try them. The best tool for creating content upgrades is Beacon. A bit messy to use, but it gets its job done. Then, you’d want to create a landing page on LeadPages (the best landing page creator there is), sync the content upgrade to the landing page, and add the latter to the article. If you want to learn more about content upgrades, you can read the guide I wrote for CoSchedule (a guest post, that is) that explain everything you need to know about them and their implementation. Before finishing, I’d like to show you how you can measure the impact of your guest posts on your site. Yes, I know you are tired and want to take a break, but it’s important to analyze your results. Otherwise, how will you know if guest posts work for your business or not? Before doing any analysis, you have to know what your goals are. After all, you only measure what you want to make progress on. As you can see, the results for the first three goals are easy to quantify, whereas the last four aren’t. How can you measure the level of “new business relationships”? You can’t. Still, it’s good to know that’s one goal you can get from guest posting. It’s not something to worry too much about, though, but it’s a nice secondary result that can create serendipitous results in the future. Regarding the former three, you have a few ways to analyze their results. Guest posting has the power of bringing new traffic to your site. If your article is great, you may end up getting the attention of lots of new people towards your site, which can help you attract a new audience. In order to analyze the impact of your guest posts on your traffic, we need to see how to do so in Google Analytics. First, go to your Google Analytics account. Then, we are going to look for the referral traffic that came from the site you guest posted on. To do that, first select a time frame of 2-4 weeks following the date of the guest post. I will take the article I wrote for Wordstream as an example. That article was published on February 2. Therefore, I will add a time range that goes from that date to the present day. Then, we will go to Acquisition > All Traffic > Referrals to see the impact of the guest post on my site. If you have used content upgrades, you need to see their impact. If you have used LeadPages, this is easy to do. First, go to your LeadPages dashboard. Then, scroll down and see the stats of each content upgrade. 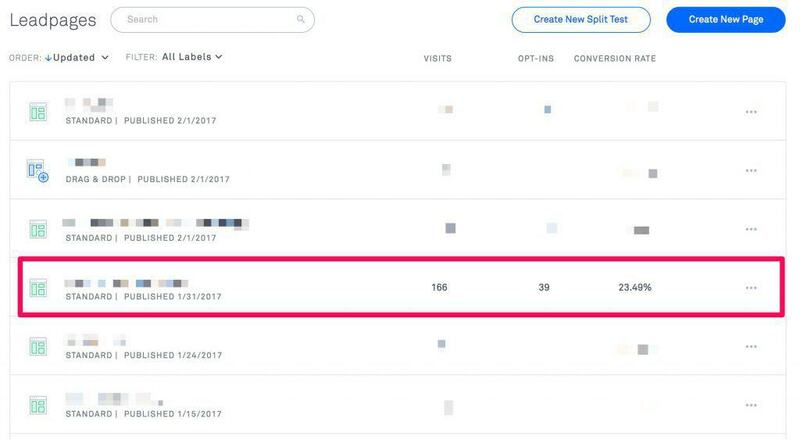 As you can see in this example, one of my content upgrades got 168 views and 39 conversions, with a 23.49% conversion rate. It’s not incredible by no means, but it’s still good. After all, these are people whom I wouldn’t have added to my list otherwise. Throughout this article, I showed you everything you need to know to find guest posting opportunities, pitch the editors, and get accepted. Why would I end this article discussing whether guest blogging works or not? Is this a joke? Wait, before you get all upset with me, let me explain (after all, if you read this far, it won’t hurt reading a bit more). A few years ago, guest posting was one of the many link building tactics out there that spammer SEOs used. After the whole Google zoo came out terrorizing everybody, guest posting was one of the few legitimate tactics available. I remember using them a lot after Panda hit, and it worked wonders. But here’s the catch: everyone did the same. Not only that, but many people used it as a modern link exchange (you know, that tactic used in the early 2000s to get links to other sites just by asking). They just put awful, often spun content with some exact match anchor text around the content, and called that “guest posting”. Technically, it was. But Google isn’t dumb, and as every link building tactic that is abused, it always ends up penalizing it and those who use it. So there you have it: the decay of a once-authentic way to reach people. Given how spammy it’s become, I’d expect Google’s webspam team to take a pretty dim view of guest blogging going forward. Oh, oh. Here you have Google’s lead expert in web spam saying you had to wave your goodbyes to guest posting. It seems like most people are getting the spirit of what I was trying to say, but I’ll add a bit more context. I’m not trying to throw the baby out with the bathwater. There are still many good reasons to do some guest blogging (exposure, branding, increased reach, community, etc.). Those reasons existed way before Google and they’ll continue into the future. And there are absolutely some fantastic, high-quality guest bloggers out there. I changed the title of this post to make it more clear that I’m talking about guest blogging for search engine optimization (SEO) purposes. As Matt Cutts explained, his warnings didn’t mean guest posting wouldn’t ever work again. He just meant Google will penalize you if you abuse of this tactic and offer bad content and lots of links with unnatural anchor text. How they can figure that out and discern it from high-quality content, beats me. All in all, as long as you follow the advice I laid out in this article, you will be fine. Guest blogging won’t disappear. You just read a massive article on guest blogging. Kudos! You deserve a break and a coffee (or bagel, whatever you can get faster). Now here’s what you need to do to get started right now. Then, start with the first action step. That is, start looking for guest posting opportunities. Once you finish the whole process, share in the comments below your results! Get the exact steps you need to take that have helped me land guest posts in sites like Entrepreneur and The Next Web. “Most Complete Guide Ever Written” is a bold claim but at 12,000+ words, I think you win. Great stuff! Ha, thank you Jacob! A pleasure having you around!